DeckWise Deck Building Products recently participated in FYI network’s series Tiny House Nation. The season four, episode nine episode titled, “400 Sq. Ft. Amplified Tiny House,” aired on March 4. 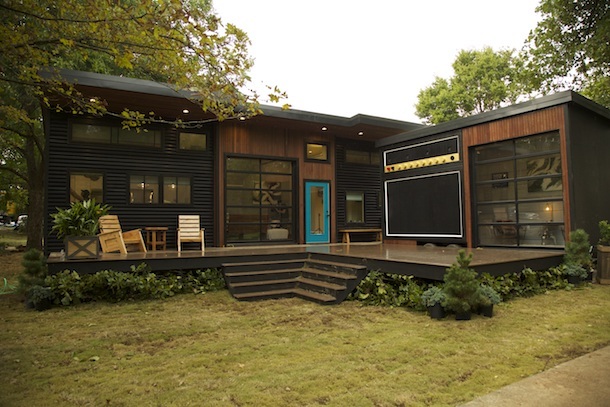 DeckWise Hidden Siding Fasteners were used on the episode’s tiny home build. The show features homes designed and built with minimal square footage but maximum quality materials. This episode featured exterior siding made from Abaco tropical hardwood (Massaranduba) supplied by Aljoma Lumber, and fastened with DeckWise Stainless Steel Hidden Siding Fasteners. Tiny House Nation on FYI follows renovation experts and hosts John Weisbarth and Zack Giffin as they travel across America to show off ingenious small spaces and the inventive people who live in them.